KSRTC has issued a notification for 342 Posts of Driver, Conductor, Helper, Security Guard, and junior Assistant Vacancy. Interested candidates can apply from 23 April 2018 to 07 May 2018. After notifying all those Requirements the Aspirants could move to apply for JKSRTC Conductor & Driver Recruitment. The application forms will be available on the Corporation’s website . Middle pass having driving license for Public Service Heavy vehicle (PSV) with minimum five year experience. c) Physical Endurance Test through use of TRP where in the candidate will have to run 1000 meters in 6 minutes through use of RFID technology. The candidates who qualify PET and Driving/Aptitude test will be selected on the basis of inter-see-merit. Eligibility : 10+2 with possession of conductor license. ** The candidate will have to sit in written examination of one hour of 60 marks MCQ type and based on inter-se-merit they will be called for Physical Endurance Test in the ratio of 1:5. ** The PET (Physical Endurance Test) will be conducted through TRP where in the candidate will have to run 1000 meters in 6 minutes through use of RFID technology. ** The candidate who qualify PET and based on merit scored in written test will be provisionally selected for the post based on inter-see-merit. ** Matric with I.T.I trained in Mechanical/Auto-Electrician/Smithy/ Carpentery/Painting/Machining/Welding/Electrical/Tailoring/Plumbing or required proficiency. ** The candidate will have to undergo a written examination of 60 minutes comprises of 60 questions MCQ type. ** The candidate will shortlisted in the ratio of 1:5 for practical examination in the relevant trade which will be of 1 hour duration. ** The marks for the practical test in the relevant examination will be of 40 marks. ** The merit of written examination/practical examination i.e. of 100 marks will be compiled and provisional list selection based on inter-se-merit. ** Graduation with Diploma in Computer Applications and type knowing with a speed of 30 words per minute. ** The candidate will have to appear in Written Examination (MCQ type) at Jammu/Srinagar only. ** The examination will be of 2 hours with 100 questions each of 1 mark. ** The candidates will be shortlisted for computer based typing test in the ratio of 1:5. ** The candidates who qualify computer base typing test with net speed of 35 WPM will be selected on the basis of inter-se-merit on the basis of marks secured by them in written examination. ** The computer based typing test will be of qualifying in nature. ** Any candidate who has been shortlisted for typing test on the basis of written examination marks, in event he/she fails computer typing test he/she will automatically get disqualified. ** The selection shall be made on the basis inter-se-merit obtained in written examination and qualifying computer typing test. ** The candidates have to produce the uploaded/required antecedents in original at the time of appearing for the required tests. ** The aspirants who had earlier applied for the different category of posts advertised vide Notice No. 1121/2016 dated 29.10.2016 may collect their Demand Drafts enclosed with the application forms from the office of General Managers JKSRTC HQs Srinagar/Jammu. 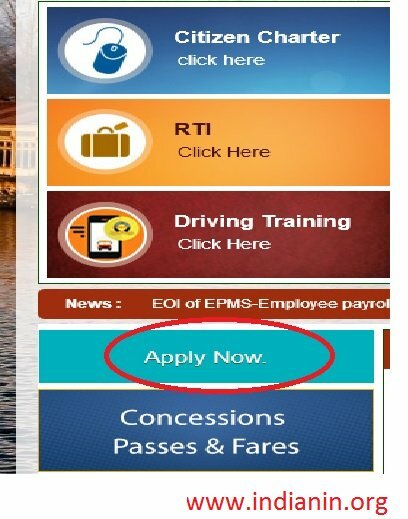 Go to the official website of JKSRTC Click on the Latest News Option, then click on the “Advertisement Notice for Engagement of contractual base Drivers , Conductors, Security Guards, Helpers & Junior Assistants” Link. 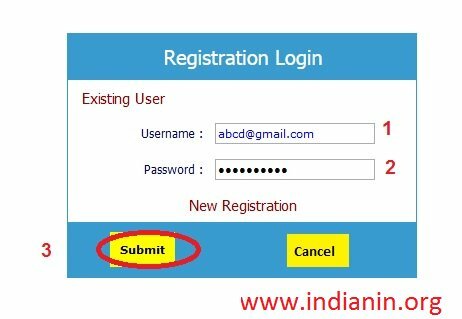 Successfully Registered screen will be displayed click “Please click here to go to Login Page” option. Note Your Registration Number & Password for future reference. Online Applications for the Engagement of contractual base Drivers , Conductors, Security Guards, Helpers & Junior Assistants. Step 7 : Enter Your Mobile No. Step 17 : Click Next Button. Step 5 : Click Next Button. Step 5 : Upload all the Documents mentioned above, click Submit button.Then Continue to apply and pay the fees through online mode only.